Tel. : +7 (495) 628-79-51, +7 (495) 628-83-67. Admission in accordance with preliminary registration at http://tickets.expocentr.ru/login.php?lang=eng and by a Forum Delegate Badge. Attention! 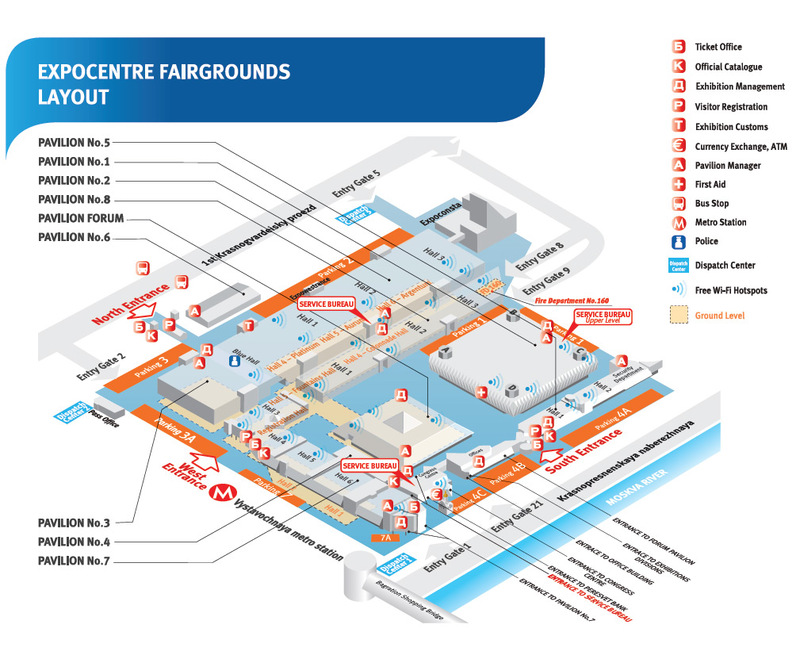 On October 21, 22 and 23 the delegates can receive their badges only at the Southern entrance to Expocentre located at Krasnopresnenskaya embankment. All events are held in conference halls of Expocentre Fairgrounds. Participation is allowed only with confirmation from the organizers. Pavilion No.8, 1st Floor, Conference Hall "Buffet Hal"
Participation is allowed only after obligatory registration and confirmation from the organizers. entrance is inside the arch between Pavilions No.2 and No.3. Participation in accordance with the preliminary registration at www.lesdrevmash-expo.ru/en/event_programme/ and by a Forum delegate, an exhibitor or visitor badge. Pavilion No.2, 1st Floor, Seminar Hall 3. Participation is allowed only after preliminary registration confirmed by the organizers. The programme is subject to alteration. Exhibition managers will gladly answer your questions.